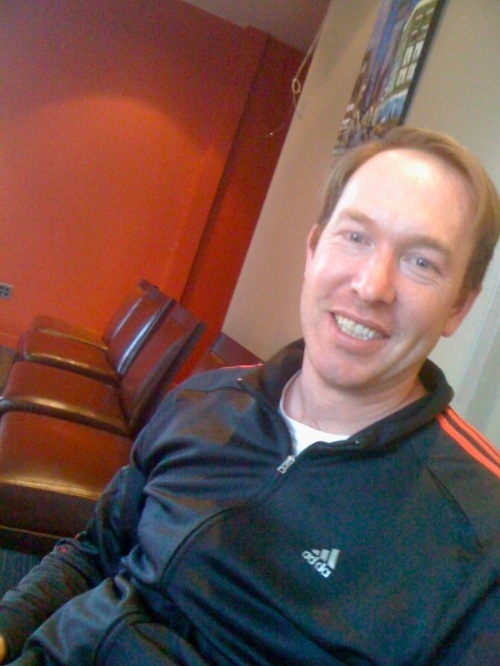 I met with Paul Edmondson, CEO of HubPages, and Jason Menayan Director of Marketing to talk about how the publishing site is dealing with the aftermath of Google's major update to its algorithm, Panda, released earlier this year. Panda has caused huge problems for publishers because it cut off massive amounts of traffic in a bid to force publishers to produce higher quality content. There have been four versions of Panda released since late February. 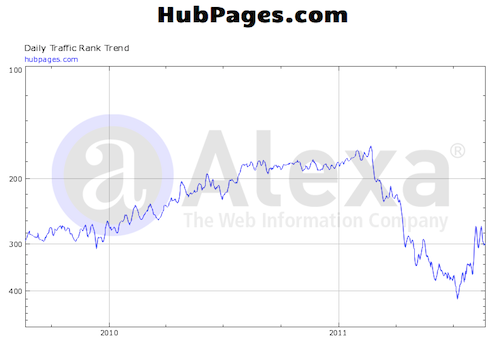 Each new version of Panda has impacted traffic to large content sites. You can see the damage here: Pandalized: Websites Negatively Impacted by Google's Panda Algorithm Change. 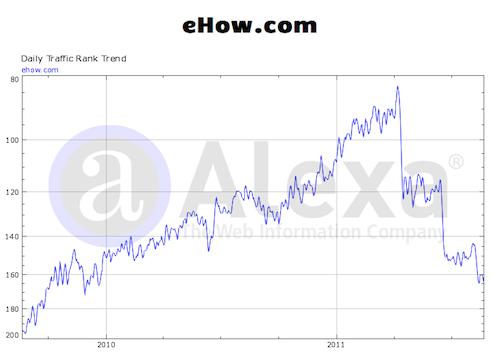 This shows how a steady increase in traffic for eHow turned into a disaster following Panda. It's a graph that many other content sites also share in shape if not in volume. The changes have spelt disaster for many companies. 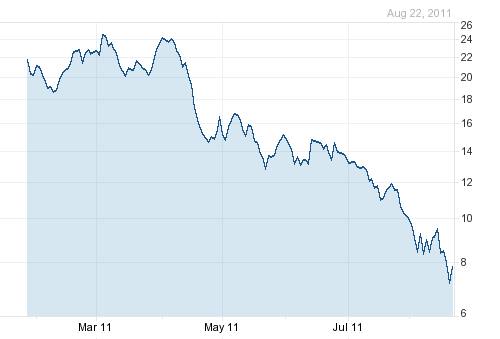 For example, Demand Media's share price has fallen from a high of $27.38 to $8.50. The Panda algorithm has had a heavy cost on Demand Media investors, the same is true for the many private investors in other firms such as HubPages. While there are many losers because of Panda, there is one giant winner: Google. Since the Panda release Google has been reporting stellar financial results, way above Wall Street estimates. It makes Larry Page, who returned to his job as CEO in April, look very good indeed. But what about the huge numbers of businesses that have been negatively affected by Panda? Google is shifting massive amounts of revenue away from publishers in its AdSense advertising network. - We've spent the past five months trying to figure out what Panda is looking at and how we can increase the quality of our content. We have tried everything and nothing seems to work. Once you are marked down by Google, it seems there's almost nothing you can do. It's tremendously frustrating. - The only thing that seems to work is converting to sub-domains for each author. We think it's because then Google can treat each sub-domain separately. We are one of very few sites that was hit that is actually starting to grow again. - Google tells webmasters not to make changes specifically for the search engine so the fact that subdomains seem to work, is not something that Google would recommend but we are unable to find what does work. - It seemed that the fallout from Panda wouldn't last long, that sites would figure out what the SEO is, and then roll out changes across all their content. But this hasn't happened, sites are continuing to be hit with each new version of Panda. - The Google AdSense team (this is the ad network for publishers) has been great they've tried to help us but they are also in the dark about Panda. The search team won't tell us anything. How are we supposed to improve the quality of content? Google won't tell us. - The drop in traffic has been discouraging for many of our writers. Some have left because they couldn't raise traffic levels despite being very focused on quality. Google shouldn't be able to affect other businesses in such a way. We are trying to do everything Google wants but apart from sub-domains, nothing seems to work. Once Panda marks you it seems almost impossible to recover. - The effect of Panda and the lack of feedback from Google means that this is dampening innovation in ways you can't imagine. And it's causing a lot of pain for no good reason. Instead of focusing on growing the business we've had to spend the past five months trying to figure out how to recover from Panda. - We did everything, removed duplicate content, deleted some low quality content; we even cleaned up grammatical errors. Some things work some don't, for no apparent reason. There seems to be a random element operating in Panda. - The random element of Panda could also be a way for Google to focus on a few sites at a time, so that webmasters can't get together to complain. - The Panda effect has been so large on some companies that if you knew they were going to be hit by Panda, you could make a lot of money in the stock market. - I believe Google is trying to do the right thing but because they affect so many businesses there should be some transparency so that we can know what Google means by quality and allows sites to upgrade the quality of their content. But it seems once Panda gives you a quality rank it sticks no matter what you do. - Google seems to want people to shift their content to its platforms. For example, Youtube is the second largest search site and so it benefits you to have a channel on YouTube rather than on your own sites. We've delayed the rollout of our video platform because of Panda.